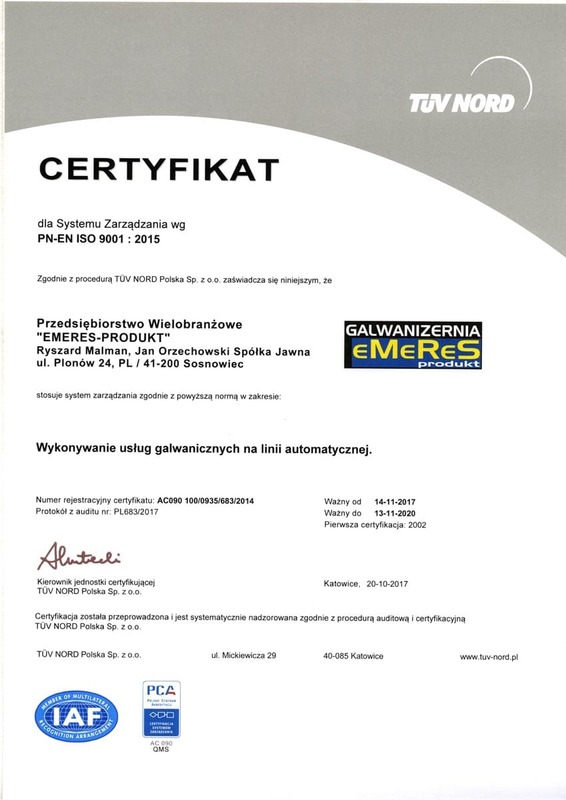 The EMERES PRODUKT company has implemented and maintains the System of Managing the Quality in accordance with the norm PN-EN ISO 9001:2008, which is certified by the German certifying unit TÜV NORD . 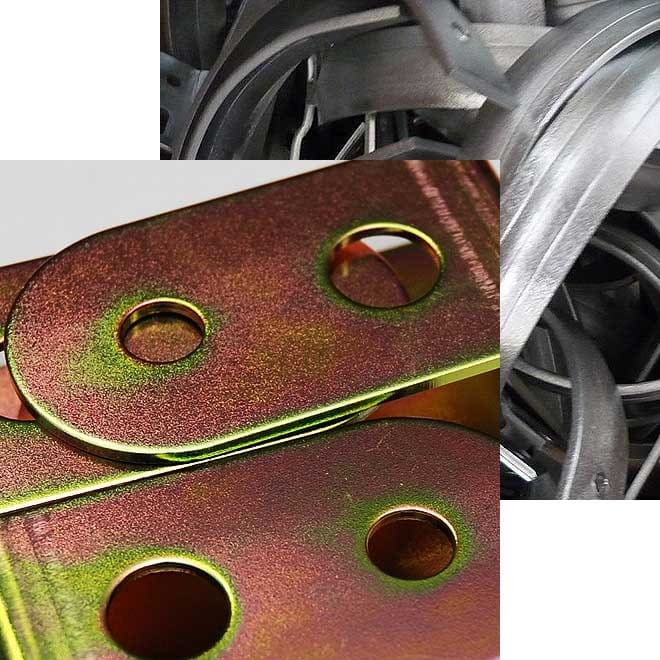 Thanks to the SZJ (system of managing the quality) and the skilled personnel with several dozen years of work experience in scope of placing galvanic layers, we can guarantee the high and stable quality of our services. 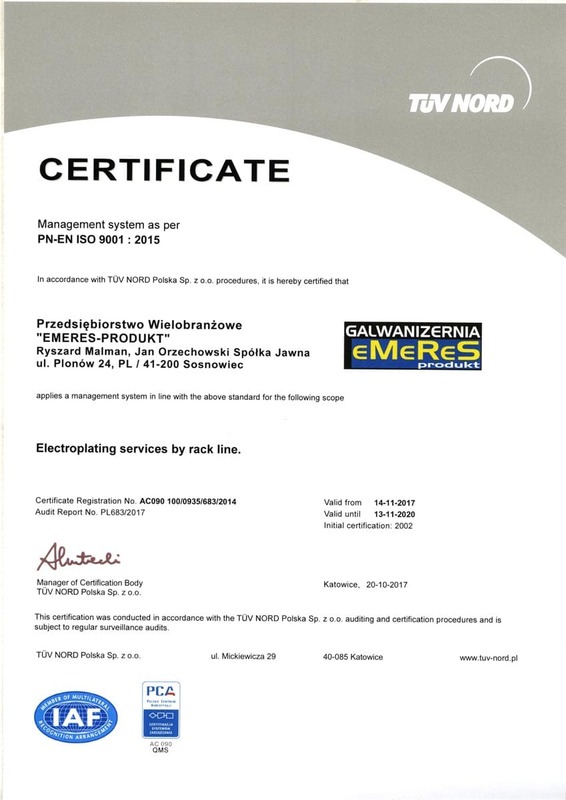 We are performing the layers in accordance with the norms requirements: PN-EN 12329; FIAT 9.57405; DIN 50961 or client’s WTO (technical conditions of acceptance). All rights reserved © 2019 P.W. 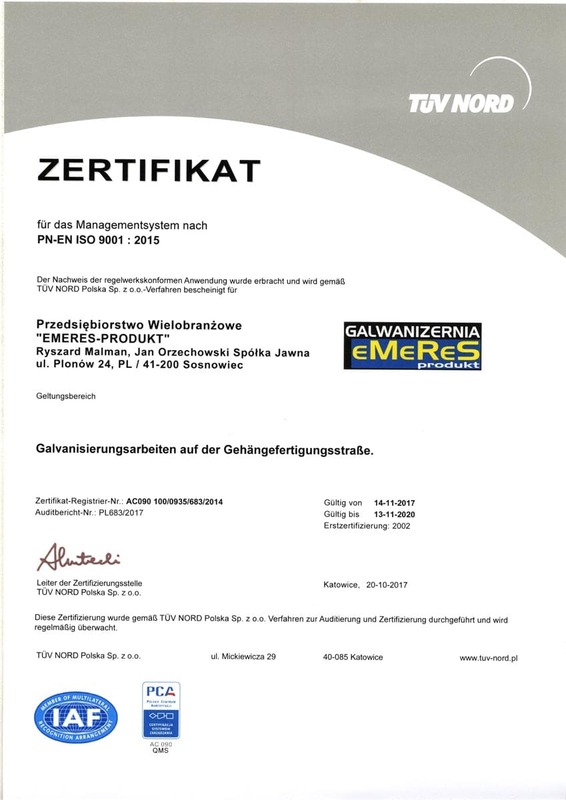 "EMERES PRODUKT"